On Friday, April 21, Sky Sports viewers will have the chance to see feisty Irishman Damaen Kelly attempt to take the European Bantamweight title from its newest owner, Italy's Simone "Boom Boom" Maludrottu in Belfast, Northern Ireland. The Italian, who is taking a rare trip out of his home country to defend the title, has a record of 21-1-0 with 9 knockouts and is making the fourth defence of the European belt. While it appears that Kelly, who has his own creditable record of 22 wins against 2 losses, may not be looking for a stunning knockout, having achieved only 10 in 24 contests himself, he will hope to at least outpoint the Italian and boost himself back upon the world stage. One problem the Irishman may face is the move up in weight class, as he will be facing a natural bantamweight. 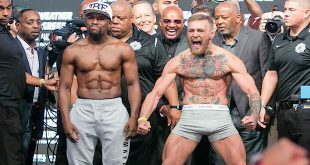 The fight may also seem a dangerous one for the Italian, who's only loss has come by points rather than stoppage, however it is seen by many as a necessary fight for two men who have in truth, fought many fighters who's fight records are not worthy of mentioning when speaking of a European title fight. Despite the criticism of their records, both men have proved they have at least the ability to compete at world level. Kelly's only losses came to Irene Pacheco, who at the time was the undefeated IBF Flyweight Champion and during a British/Commonwealth bout which was stopped in the sixth round due to cuts the Irishman had suffered during the fight. 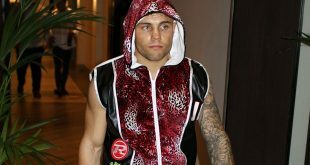 Kelly has previously won a raft of flyweight belts including the IBO, European, Commonwealth and British, so is by no means short of titles to his name. His opponent has only one loss, as previously mentioned, by points and will be putting his European title at risk for the fourth time. Maludrottu best win came against Karim Quibir Lopez, who at the time of fighting was undefeated in twenty-six contests, and has continued to rack up the wins, fifteen straight, since the early career loss in 2001, showing the quality of "Boom Boom". This European title bout is sure to be a good fight, although perhaps not in a manner that fans of heavy punching would hope for, but will surely display a match of sound technical ability, and bring at least one of the fighters to a world title shot. 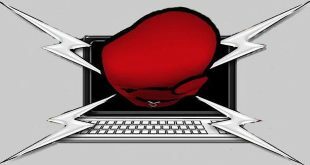 Previous Boxing Opinion: Floyd, It’s Time To Fight Hatton!